The king of Israel comforts Jezebel, his wife, Jezebel, on the night before her priests confront the prophet Elijah. Ahab is a curious figure. While he has a reputation as a dangerous, evil king, he was actually quite passive. He went along with his wife’s rampage against the prophets of his fathers’ god, but did little of his own. He also seemed to be in close communication with Jezebel’s nemesis, Elijah. It seems that Ahab would do anything for Jezebel. He went along with her orders, though he repented at least once for the things that he had done for her. Jezebel is portrayed as purely evil in the Biblical text. As the saying goes, history is written by the winners, and the writers of the Bible had good reason to show nothing good of her at all. 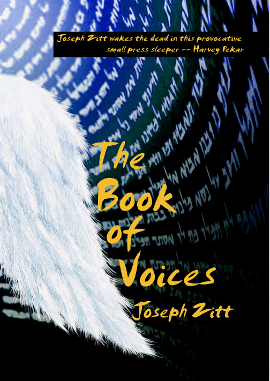 But one of my hunches in writing The Book of Voices is that no one really views himself or herself as evil. I wondered if Jezebel had a justification, at least in her own mind, for what she did. I remembered Harlan Ellison’s idea, as shown in his magnificent collection Deathbird Stories. that gods die when no one believes in them, and that suggested an emotional basis for what Jezebel did. I ended the run of chance-determined stories within the book when the random numbers suggested that I write about Jezebel herself. I had already written this story, which is as much or more about her than about Ahab, and she had appeared again in the story of Jehu, so I thought that I had run out of things to write about her. But I suspect now that there is more that could be told. Have you ever loved someone so much that you would defend what they did even when you knew that it was wrong? How did you get to that point? What did you come to believe was an acceptable level of going along with their behavior? Did the relationship continue? If you found that you could no longer support this person’s actions, what was the breaking point? Would you have believed beforehand that this could happen? How might you keep it from happening in the future?